A 30-year-old Florida man faces multiple surgeries and physical therapy to recover from a shark bite on his foot. 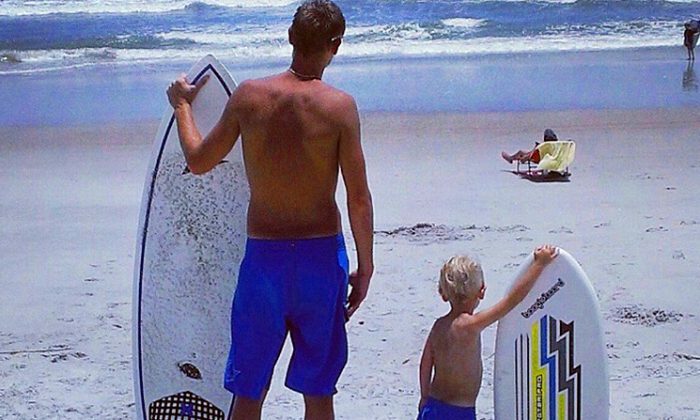 Dustin Theobald was lying on a surfboard in two feet of water off Florida’s Fernandina Beach on Friday, July 13, when he felt a tug on his right foot. He shook his foot, and felt a sharper grip. Theobald reached down and felt the skin of a shark. The shark ripped open the top of Theobald’s foot, tearing through nerves and tendons. The shark’s teeth also gashed the bottom of his foot. When he realized what had happened Theobald’s first thought was to get everyone out of the water. “I was trying to usher everyone out, there were a lot of people around me that I felt should probably get out of the water,” Theobald told FirstCoastNews. “As soon as I got out of the water blood started pouring out and there was a trail of blood all the way up to the life guard stand,” he said. Theobald was transported to Baptist Medical Center Nassau for immediate treatment, and then to UF Health Shands Hospital in Jacksonville, where doctors told him it would probably take six weeks to recover from the wound. The bite severed nerves, so Theobald has no feeling in the foot. According to a GoFundMe [WARNING: GRAPHIC PHOTOS] page set up by his brother Cameron, Theobald will need at least two surgeries and much physical therapy before he can get back to his job as a self-employed handyman. Indeed, Theobald did get lucky. He was in the water with his 8-year-old son—his son could have been bitten instead. Around 3:38 in the afternoon, a few minutes after Dustin Theobald was bitten, another swimmer suffered a shark bite about mile to the south. That victim, a 17-year-old youth form Georgia, sustained puncture wounds on his foot. He was also taken to UF Health Shands Hospital in Jacksonville for treatment, WJXT reported. Fernandina Beach city officials closed the beach for the rest of the day. Prior to these on July 13, there had been only four confirmed shark attacks in Florida’s Nassau county in the past 135 years.